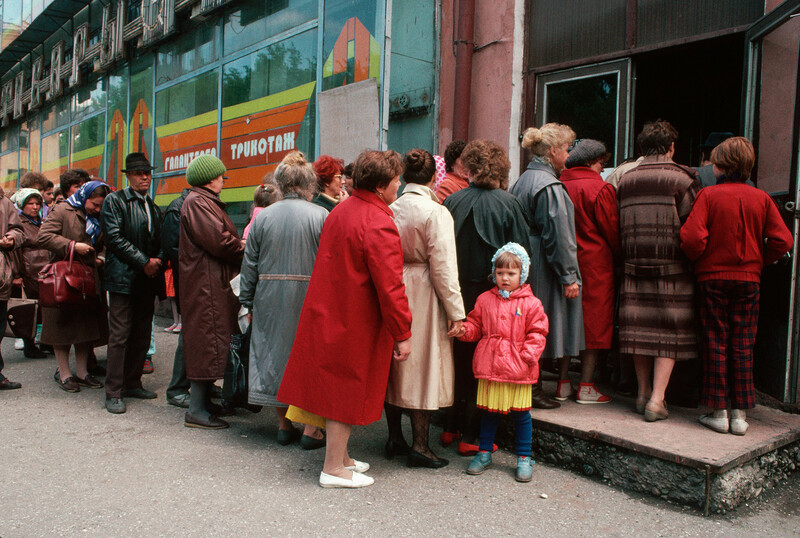 ‘Fartsovka,’ the process of obtaining and reselling foreign-made goods, was more than an illegal activity in the USSR – it was a way of life. This is how a typical fartsovschikintroduced himself to foreign guests: friendly, smiling, speaking some English, and ready to show the Moscow not seen by official tourist groups. The fartsovchik’sgoal: get his hands on foreign-made goods such as bubble gum, jeans, foreign currency and branded plastic bags. 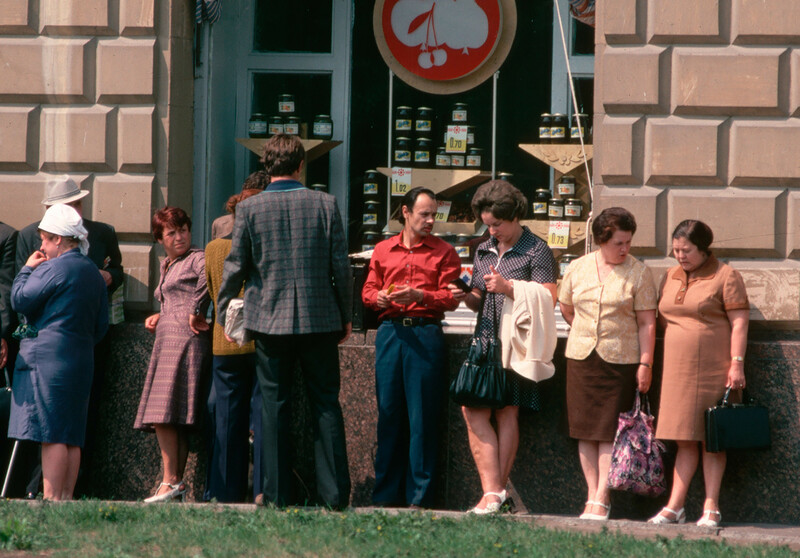 Most Soviet-made clothes were bland and standard, and stylish items were scarce. 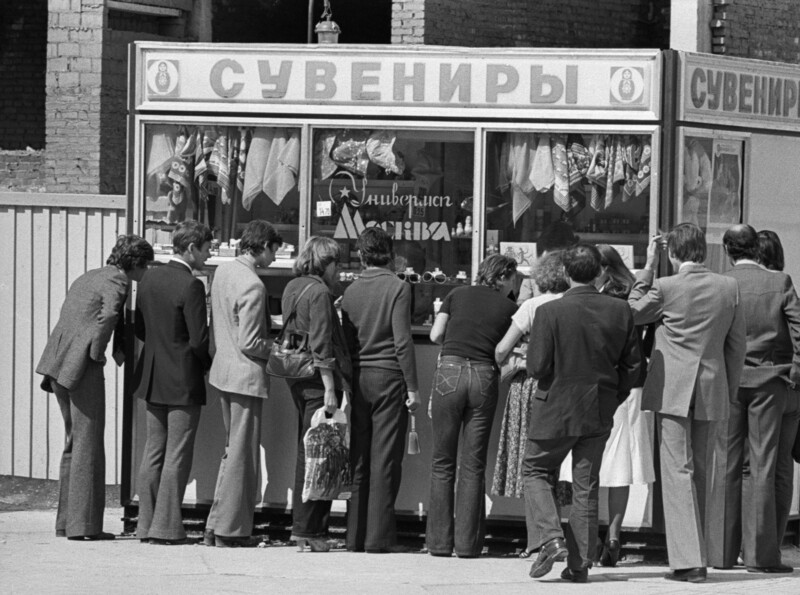 A Soviet citizen had two ways to find something chic: buy when abroad (highly unlikely because you had to get an exit visa), or buy imported clothing from fartsovschiks. In contrast, fartsovschiks, were ambitious guys who made a living by trading with foreigners who brought coveted items into the country, such as Levi jeans. Later, they resold them to fellow citizens at a big markup. Fartsovkawas a risky business run by bold and resourceful youth who were also progressive and educated. Unlike a western-style business ruled by the market’s invisible hand, fartsa was a lifestyle with its own code of honor. A fartsovschik never sold a fake or overpriced item to a fellow fartsovschik or a regular customer, but could price-gouge with a random amateur buyer or somehow trick them. “My friends and I once sold a set of kid’s jeans near Kievskaya rail station, offering them as if they were made of rubber [for added durability],” remembers Vasiliy Utkin, a retired fartsovschik. 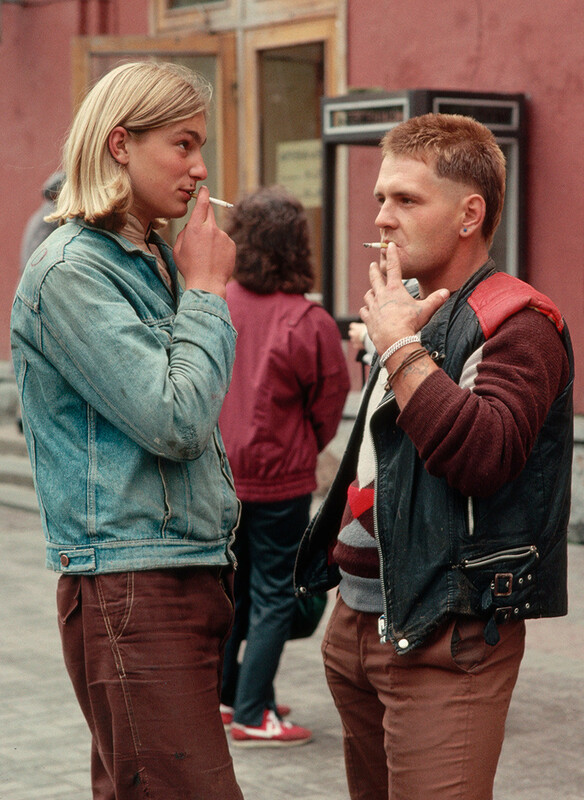 It all began in the late 1950s when the subculture of stilyagi, Soviet hipsters enamored with the American lifestyle, emerged in major cities. They had a thing for colorful foreign-made cloths and brands, and were the first sellers and customers of the fartsamovement that later spread throughout Soviet society. Sometimes, the business was very lucrative and dangerous. Infamously, Yan Rokotov was executed by firing squad in 1961 for a scheme that resembled the innocent fartsovkabut involved massive transactions in foreign currency. When Soviet police searched his apartment they found the astonishing amount of $1.5 million ($12.5 million today) in hard currency and gold. Although regular fartsovschikswere rarely so severely prosecuted, they still faced heavy pressure by police because all private business was illegal. Although the typical fartsovschikwas not as audacious as Rokotov, they often made a nice profit. Branded jeans could sell for 150 rubles, the average monthly salary in the 1980s. Soviet kids were sometimes inspired by the exploits of the fartsovschiks. “In 1982, I was studying in elementary school, and one day a teacher told us: ‘There are people selling out our Motherland – they offer Soviet emblems to foreigners.’ And she told us the exact prices they asked for. After the lesson I rushed to the nearest store and spent all my pocket money on Soviet pins, and made 50 rubles selling them to foreign tourists; the average monthly salary in the country at this time was 120 rubles,” recalled Evgeniy Semyonov, who later resold foreign-made jeans, magazines, bubble gum, and other stuff. In addition to jeans, boots and other fashionable items, fartsovschikstraded in vinyl records, imported alcohol, audio systems, cigarettes (especially Marlboro), and even colorful branded plastic bags. In a country where the government limited access to those goods, people had insatiable appetites for everything foreign. 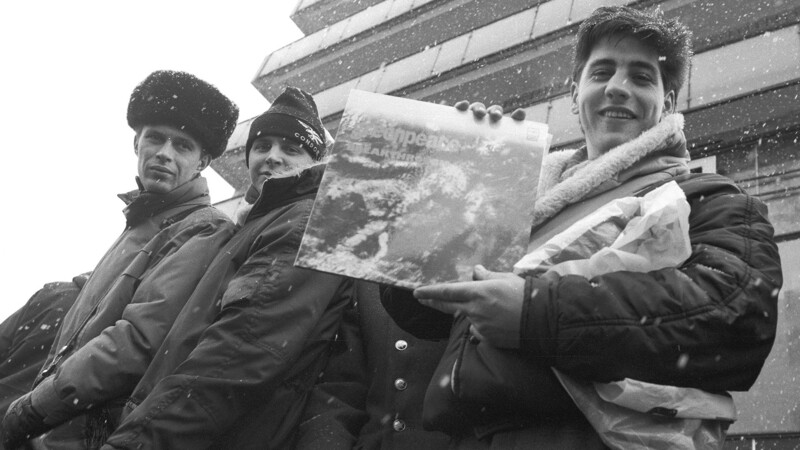 In the late 1980s and early 1990s, Soviet isolation ended and people began traveling more. 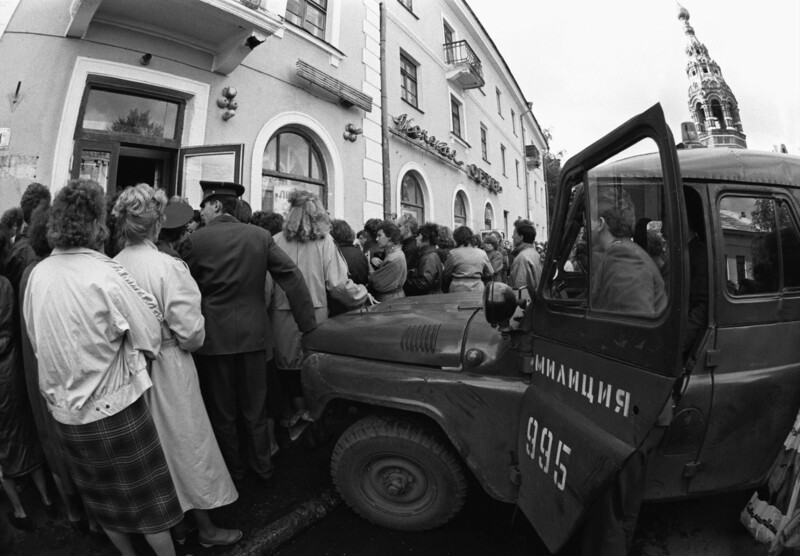 Foreign goods and clothes slowly entered the Soviet market. Fartsawas no longer needed. “In the early 1990s I managed to buy some Vietnamese ping pong paddles that were really rare. Yet, to my surprise I discovered that the shops were already filled with them,” said Gennady Zhitnikov, a former fartsovschik. Fartsa eventually transformed into the first legal businesses in the new Russia, remaining only as a memory, but also as a source of inspiration for Russian filmmakers.